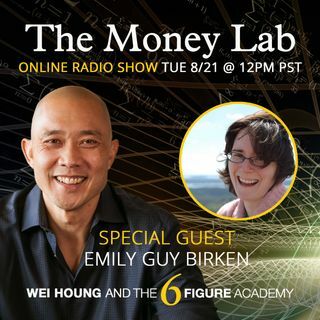 Emily Guy Birken is a former educator and lifelong money nerd who specializes in the scientific research behind irrational money behaviors. Her background in education allows her to make complex financial topics relatable and easily understood by the layperson. She is the author of four books: "The Five Years Before You Retire," "Choose Your Retirement," "Making Social Security Work for You," and her newest title "End Financial Stress Now." Her work has ... See More appeared on The Huffington Post, Business Insider, Kiplinger's, MSN Money, and The New York Times online.